Anyone who visits the coastal areas of Florida, or the lakes and rivers, or the great wetlands of the Everglades National Park, is sure to see a rich variety of bird life, much of it at close quarter, and - with the aid of a good bird watching guide - easy to identify. And if you have a camera with good lenses, then it's possible to build up a full and attractive record of these sightings. On this page I exhibit a few of the photos of water birds I've taken during several brief visits to the state, with notes on the species and photos. This is a companion piece to Florida Vacation; A Photographic Guide to Wildlife in the Tourist Paradise. 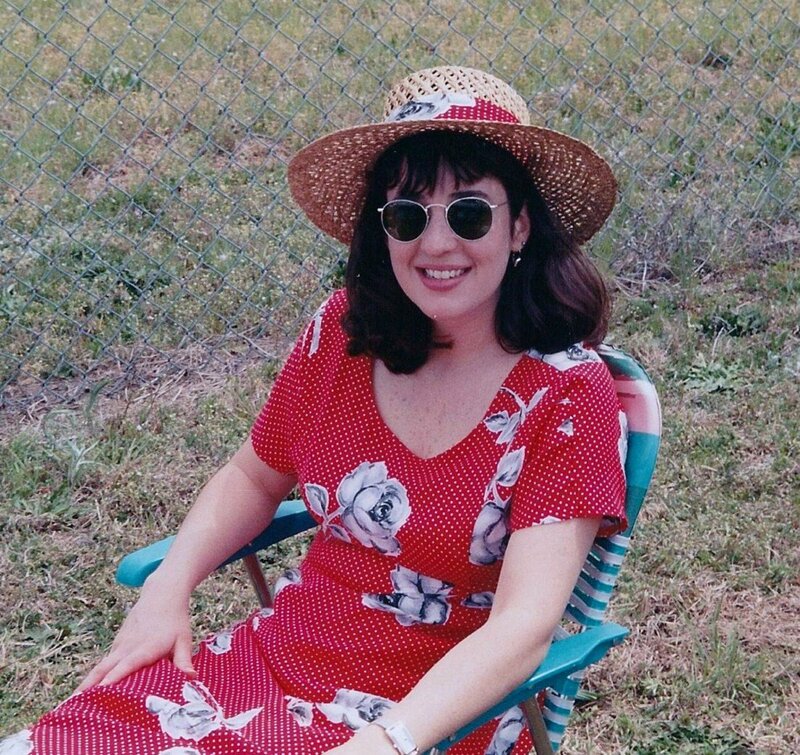 All photos on this page were taken by the author in the State of Florida. In this page I highlight how anyone can add a new dimension to a vacation in Florida, simply by keeping their eyes open and making a few detours away from the traditional tourist destinations. Many of those who visit the world famous theme parks, will also have an interest in nature, and a trip to one of the many nature parks, lakes and coastal regions of Florida, will provide a great aesthetic contribution to an already memorable vacation. Included are my descriptions and photos of insects, spiders, frogs, lizards, birds and mammals encountered in the state. This page is written from the point of view of the visiting tourist - not an ornithologist. It is not therefore a comprehensive guide to all the birds. Rather it is an illustration of the water birds which can be easily seen and photographed during a short visit to Florida. It is intended to act as an encouragement to all who visit the state to make more of their vacation and to take a look at the natural world beyond the theme parks. Many species have not been covered including the grebes, the petrels and shearwaters, rails and coots as well as dozens of species of ducks and geese - only the most conspicuous have been included. However, a list of references at the bottom will direct readers to websites which cover other species, and to field guides about the subject. There's nothing easier to see, from a wildlife point of view, than the birds which inhabit the shoreline or inland waterways. The water attracts them like a magnet. And because people are also attracted to the coasts, to beaches and ports, to play in their boats, to fish or relax by rivers and lakes, the birds frequently become accustomed to the presence of humans. This, plus the confidence that they have a ready escape route either through the air, or through the water, makes water birds among the most approachable, and therefore photographable, of animals. And all you need to make the most of the experience is a good guide book, a decent camera with telephoto lenses, and binoculars for those birds which just won't come quite close enough. 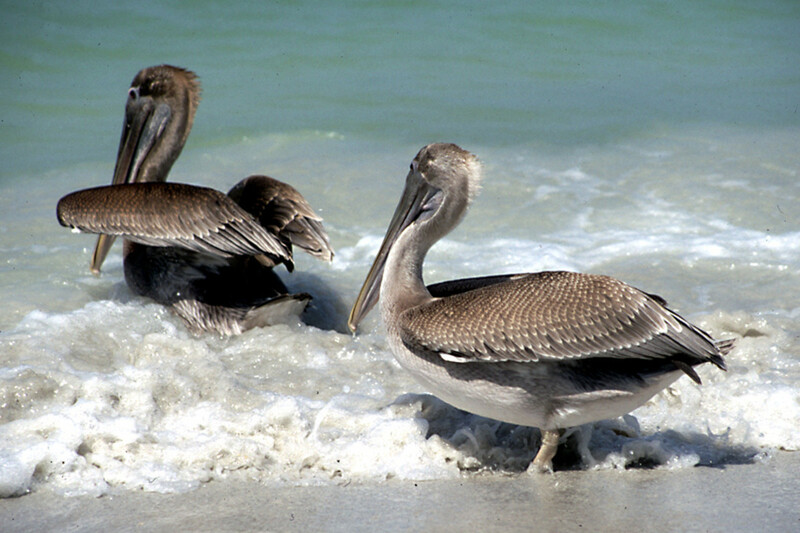 Most of the families of water birds are well represented in Florida. Major groupings include the ducks, geese and swans (Order Anseriformes, Family Anatidae ) which include more than 30 species in Florida alone, the herons, egrets and ibises (Order Ciconiiformes) very characteristic of Florida with more than 15 species, and the shorebirds, waders and gulls (Order Charadriiformes). Other orders of water birds include the the cranes, rails and coots (Order Gruiformes), the grebes (Order Podifipediformes), and the pelicans, frigate birds and cormorants (Order Pelecaniformes). 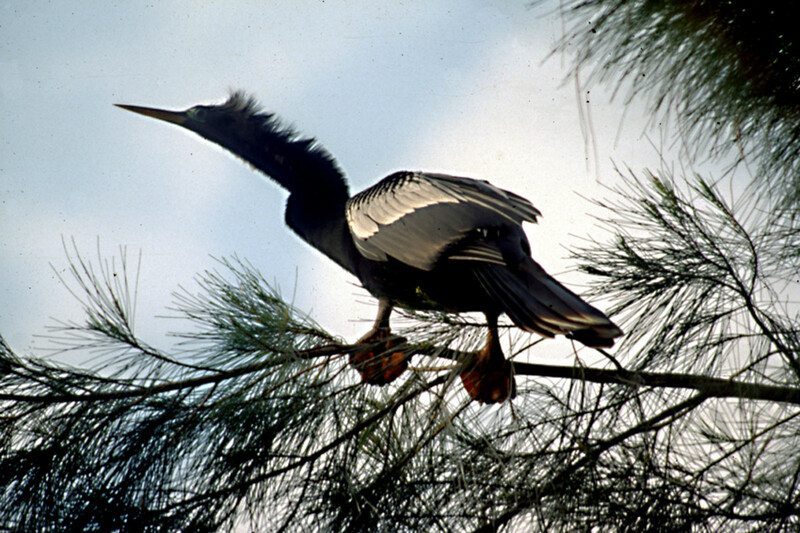 A characteristic bird of Florida is the Anhinga. 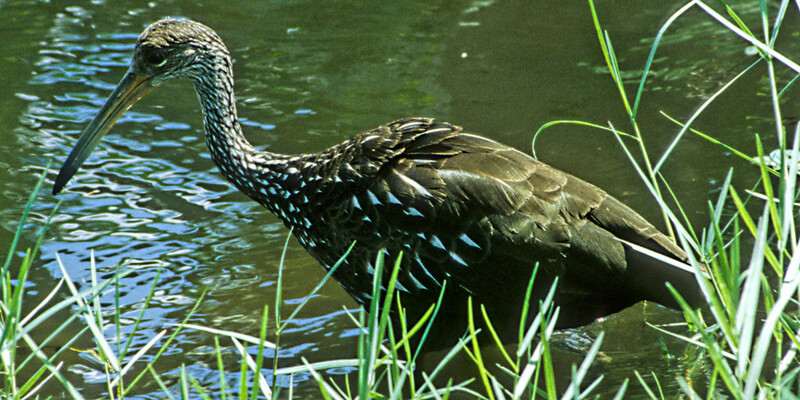 A relative of cormorants, this bird - also known as the snake bird or darter, is commonly found in swamps, freshwater ponds and lakes - where it may be seen swimming and fishing with only the head and neck exposed. The bird is recognised by its long needle-like beak, long snaking neck and white feathered wings. Its body is slender, about 28 inches long with a wingspan of nearly 4 ft. 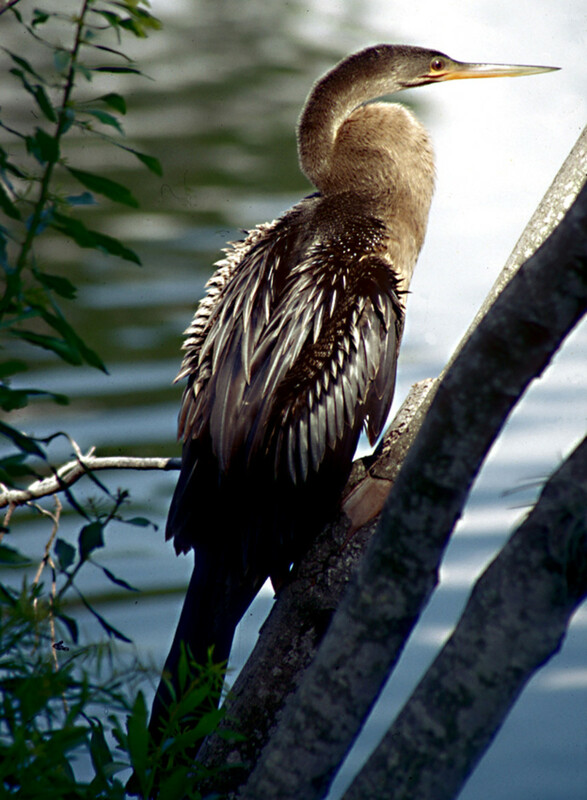 The American Anhinga is just one of several kinds found around the world. 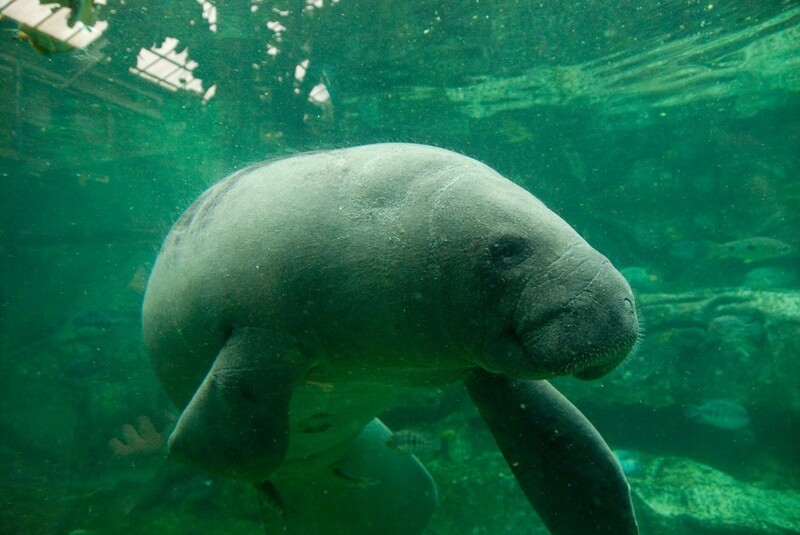 This species is distributed throughout Central and South America and the Southern U.S.A, with Florida affording some of the most typical and suitable of habitats for its lifestyle. Cormorants are familiar the world over and all have a similar general appearance. Although superficially they resemble the Anhinga above, the differences are many. Cormorants tend to be stockier, with rather shorter necks, all black bodies, and a shorter bill with a hooked tip. 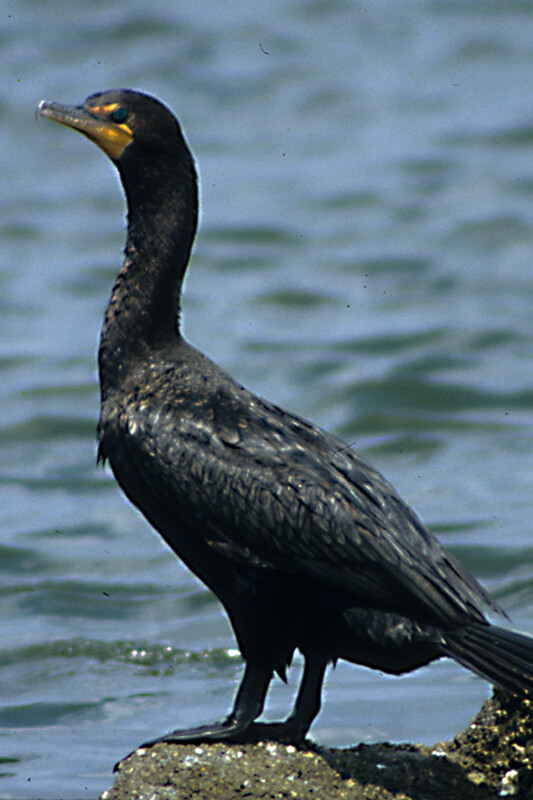 Several species live in North America, but only one is common and widespread in Florida, and that is the Double-Crested Cormorant. 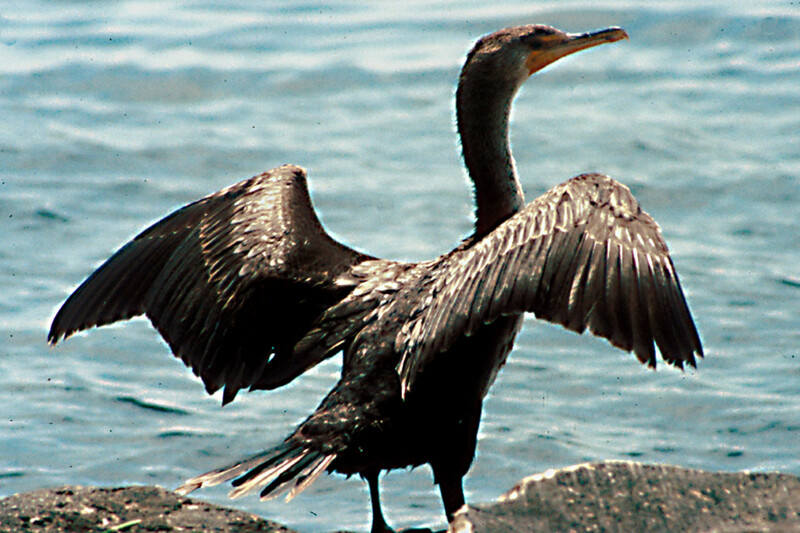 Although, like Anhingas, the Double-Crested Cormorant may be seen on inland waterways, the coast is its most typical haunt. Here it can quite commonly be found near to human habitation where it may well become tame enough to approach closely for photographs such as these. 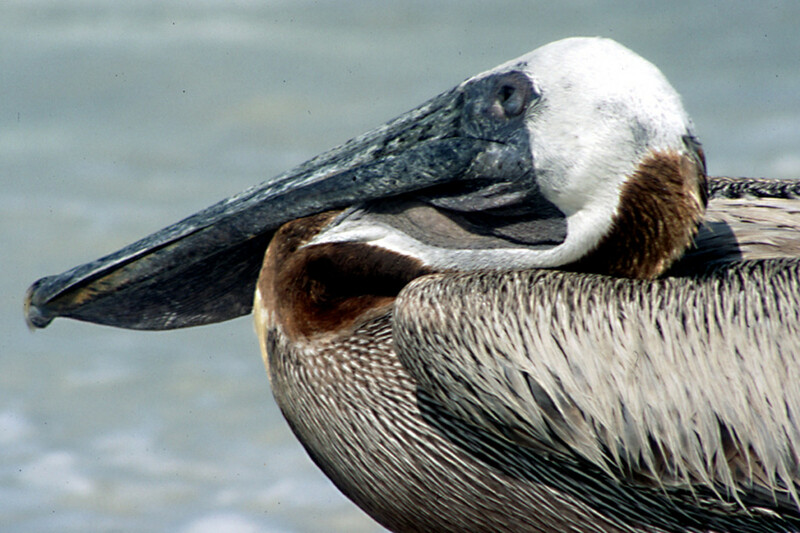 Undoubtedly the most conspicuous and unmistakable of all water birds in Florida, is the Brown Pelican. 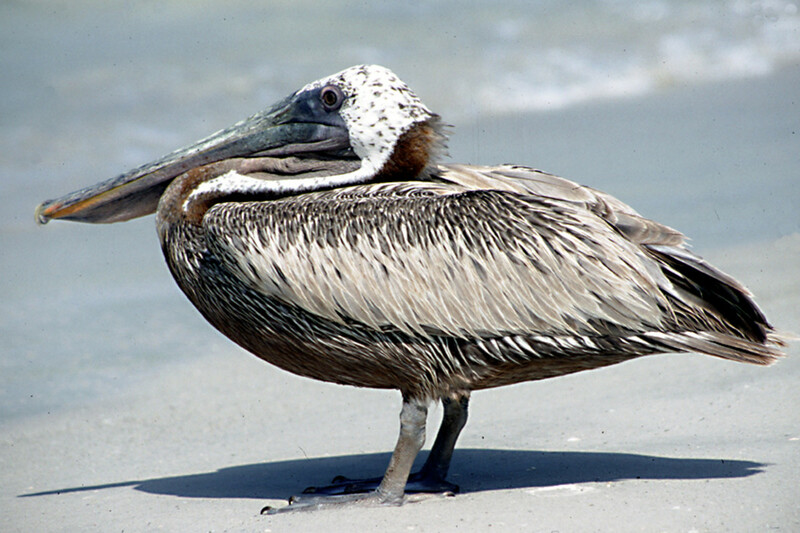 Even people who have never seen a wild Pelican know what this bird looks like, with its plump body, its large webbed feet and its enormously long, and comically voluminous bill. 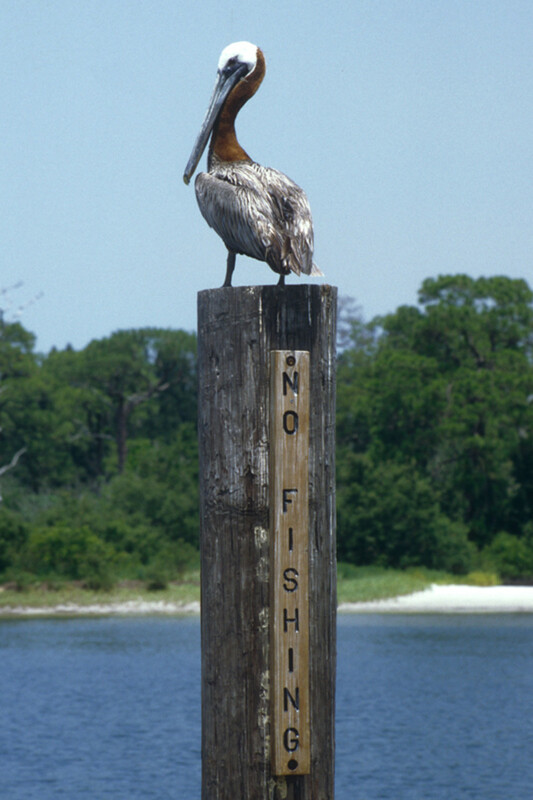 Typically it will be seen on the coast, perched on posts or jetties, or else spectacularly diving from height to catch small fish in the sea. 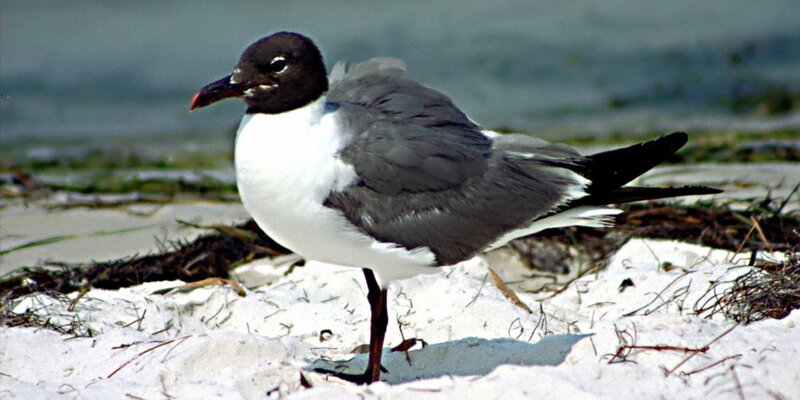 It is a resident and locally common bird on both the coastlines of Florida. 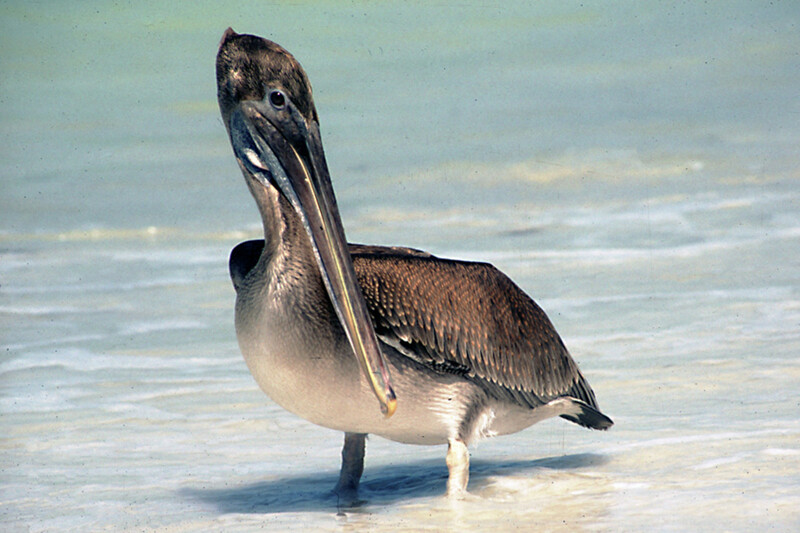 There is another, larger species of pelican which may be seen in Florida. This is the White Pelican, which breeds on the west coast of America and Canada and on inland lakes, but which may be seen on Florida's Gulf Coast during the winter months of December to March. Another related species which may be seen in the Keys or the Gulf Coast is the Magnificent Frigatebird - a great black and white seabird with a long hooked bill. The male is quite spectacular with a large red bill pouch which is inflated during courtship. 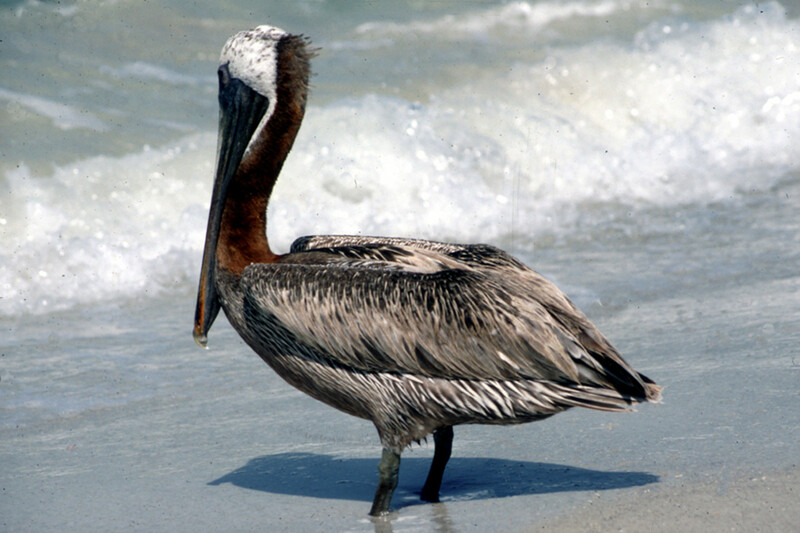 Pelicans are creatures of habit and birds which know where they feel most at home. It doesn't take too much observation of a gathering of Pelicans to be able to predict the potential for an interesting or novel photograph. Nothing attracts a Pelican like a fish, and they can frequently be seen on harboursides waiting patiently alongside the local fishermen, hoping for a morsel. In the photo on the right, a 'No Fishing' signpost makes an excellent perch from which to go - well, fishing. The other photo opposite was not taken with a long lens - it is often possible to approach very close to these birds, as they become very familiar with the presence of humans. 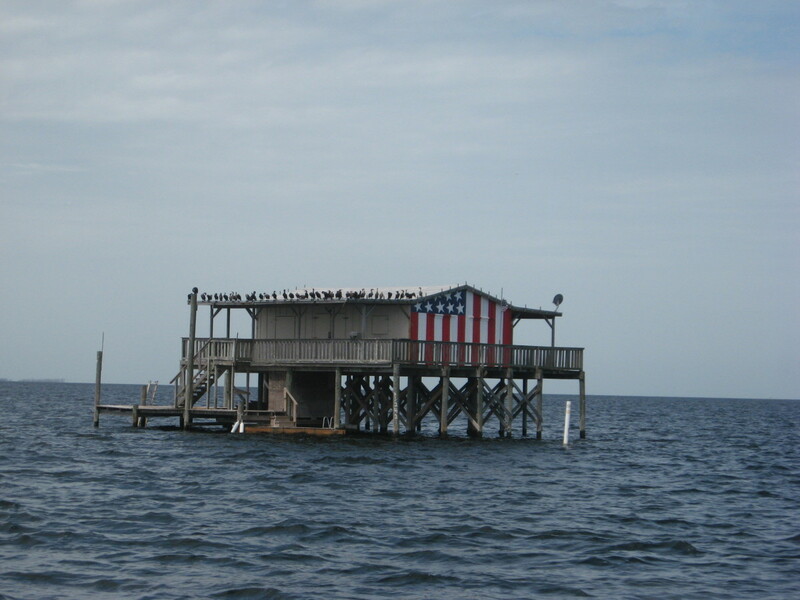 The photograph below was taken in the sponge fishing village of Tarpon Springs. 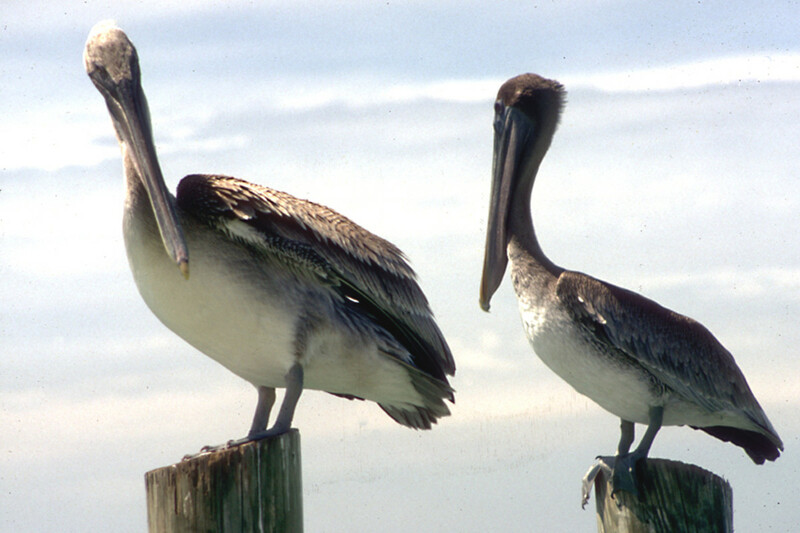 A large number of Pelicans gather here and fly around, and perching sites are at a premium. 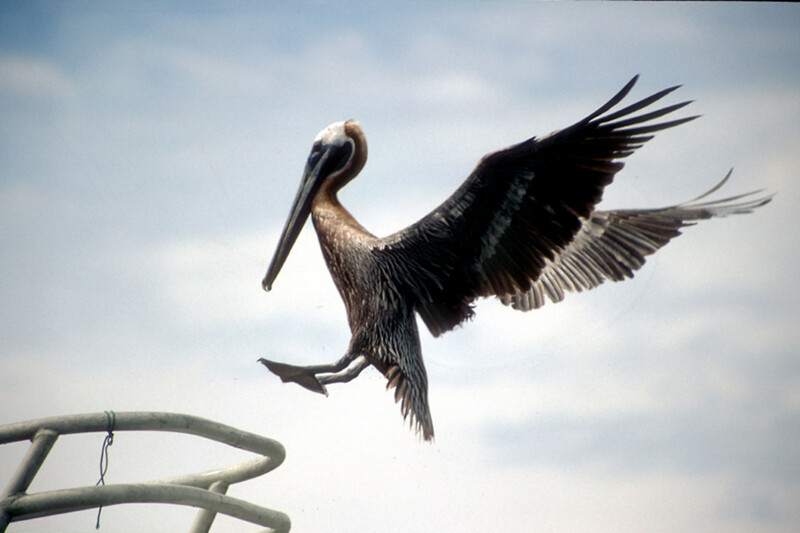 Focus on any suitable landing, such as the bow of a boat, and sooner or later, a Pelican will make your photo for you. Just click at the right moment - there's no easier way to capture a bird in flight. The Wood Stork is a very distinctive bird, very large and predominantly white, though with black trailing edges to the wings, and a dark neck and head with a powerful long bill. The population in Florida is quite small, but locally the bird may be common, roosting and nesting colonially in the wetlands, quite typically in cypress trees. If visiting the state you may well be lucky enough to see this bird, so conspicuous when in graceful flight with its six foot wingspan, and its long neck outstretched. 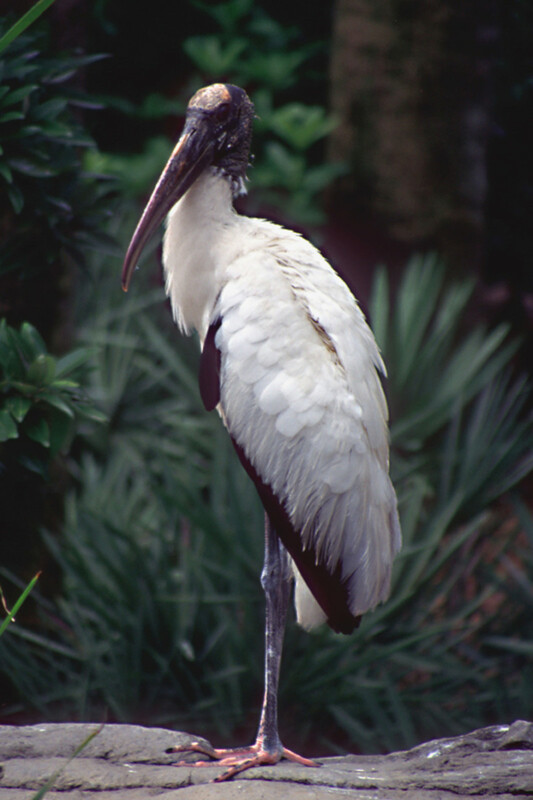 Once the Wood Stork was known as the Wood Ibis, and may still be seen under this name. 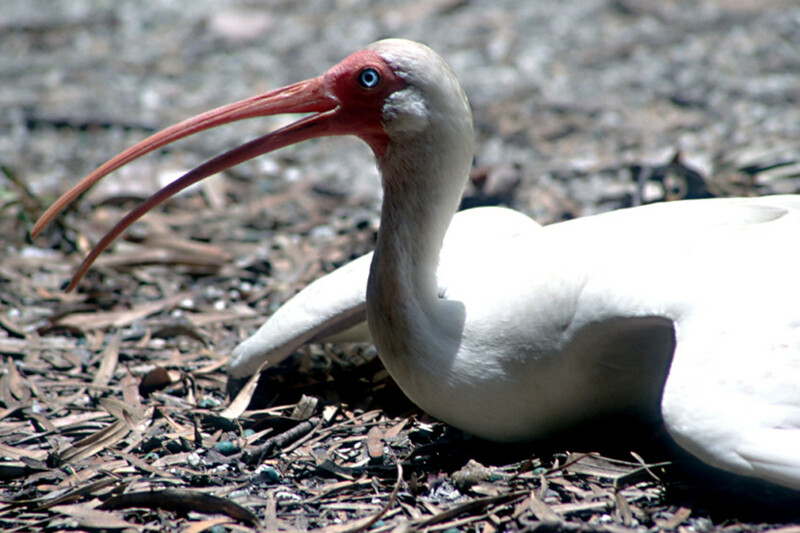 However several true ibises also live in the state, and one of these - the White Ibis - is very common. 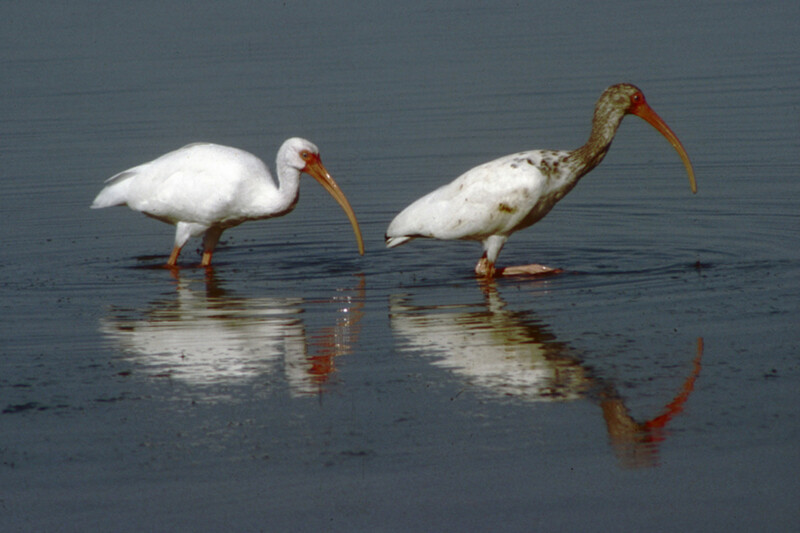 Usually seen wading in shallow coastal waters, the White Ibis adult has all white plumage, and a very reddish face and long curved bill. The body is about 22 inches long. One other species of ibis, the Glossy Ibis, is a rather less common Florida resident, with a dark reddish brown neck and head, and dark shiny wings. A related bird called the Roseate Spoonbill is rare and local, but worth looking out for, with its beautiful pinkish body and curious shaped bill. 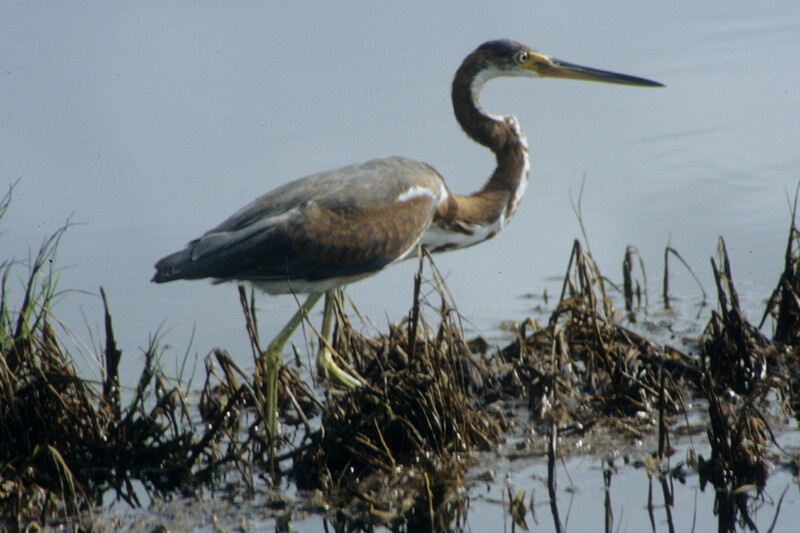 Two smaller herons of similar build are the Tricoloured Heron and the Little Blue Heron - both are slender birds about 22 inches in stature, and yet another species - the smallest of all the Florida herons - is the Green Heron - a locally common bird about 14 inches long. Photographing the herons is not too difficult with a little patience and a willingness to proceed slowly without scaring them. The larger herons are probably the easier to photograph simply by virtue of the fact that they are bigger, so one doesn't have to approach so close. If successful, one is rewarded with images of some of the most graceful birds on the planet. 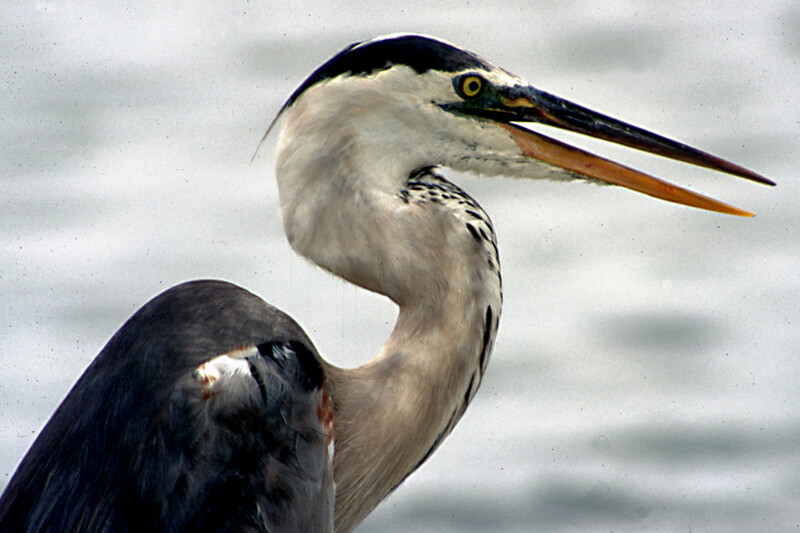 Two quite distinctive birds are the Black-Crowned Night Heron and its close relative, the Yellow-Crowned Night Heron. 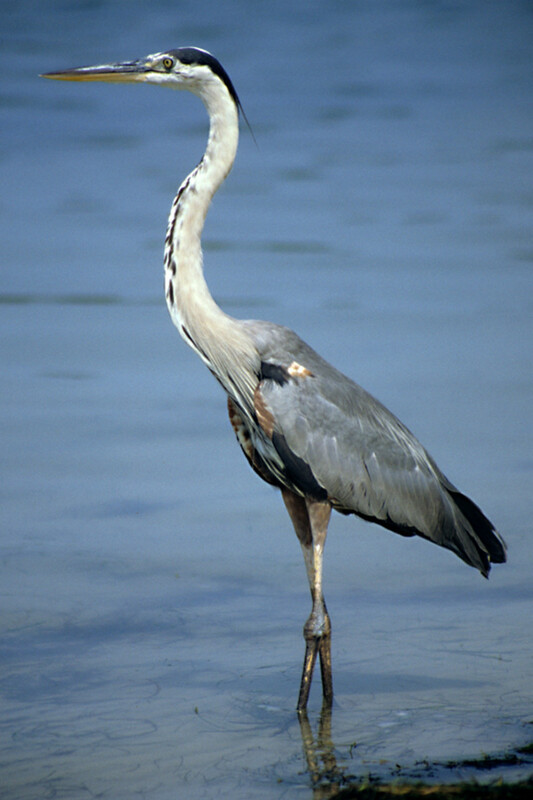 They are rather stockier in build than the typical herons seen above, with shorter necks and short, thicker bills. 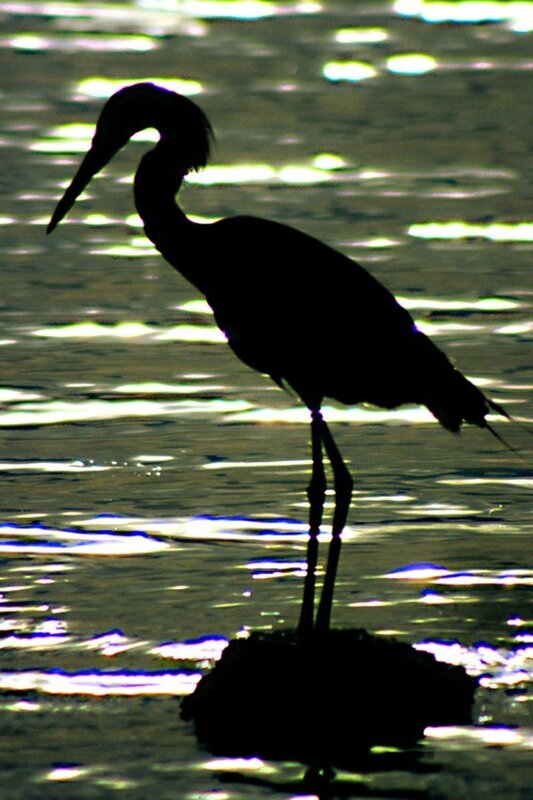 Called 'night' herons because of their habit of fishing after the hours of darkness, these nice birds may nonetheless be seen in daytime too. The Black-Crowned Night Heron has a white underside and a grey-black back. 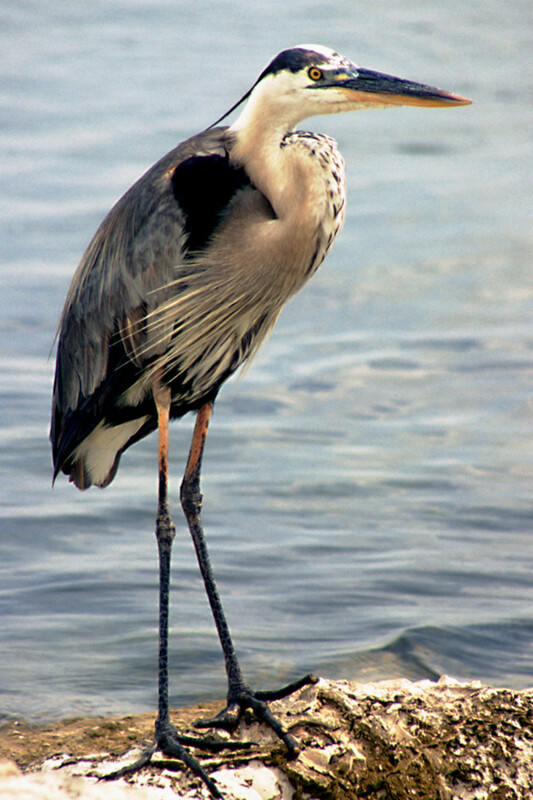 Although it is the more common of the two species, this is one wading bird which the author of this piece has not seen in six visits to the state. 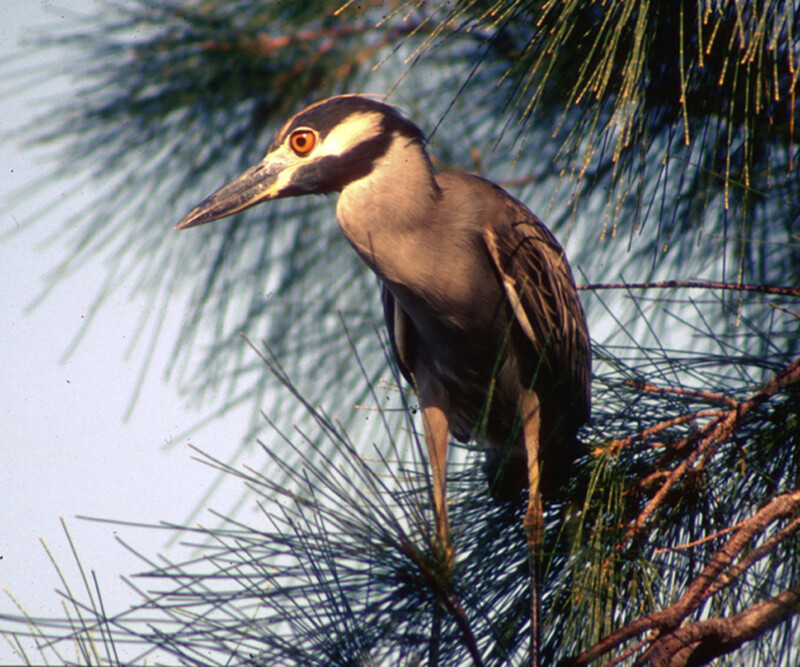 The Yellow-Crowned Night Heron has a pale grey body and attractive facial markings, and is a beautiful bird to catch sight of if one is lucky enough to do so. The name 'egret' originally referred to herons which possessed long white plume feathers (aigrettes) during the breeding season. Today this plumage distinction is less clear, but the name still tends to be used for graceful white herons, of which there are three species in Florida. One is rather different from the others - the Cattle Egret is an introduction from the Old World and is usually to be seen in pastures and grasslands rather than in water environments. It also has a rather shorter neck and a squatter stature, and yellowish upper body plumage during the breeding season. 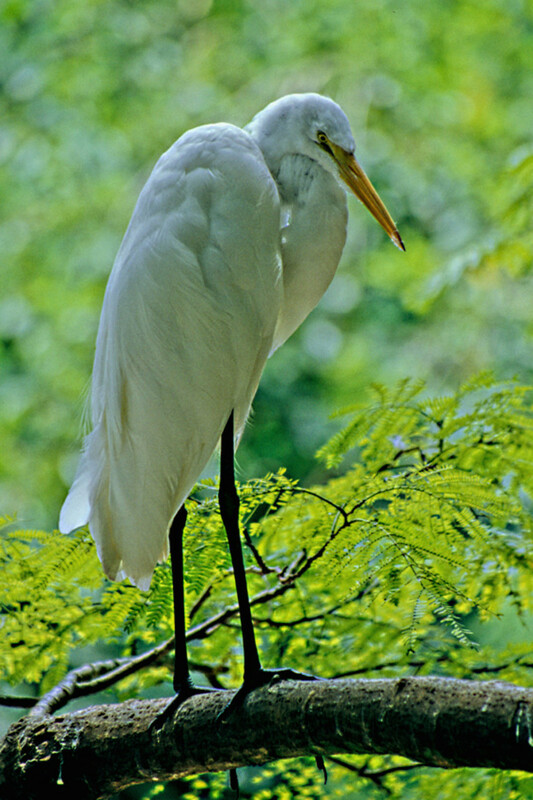 Most abundant of the water living species is the Common Egret (also called the Great Egret). 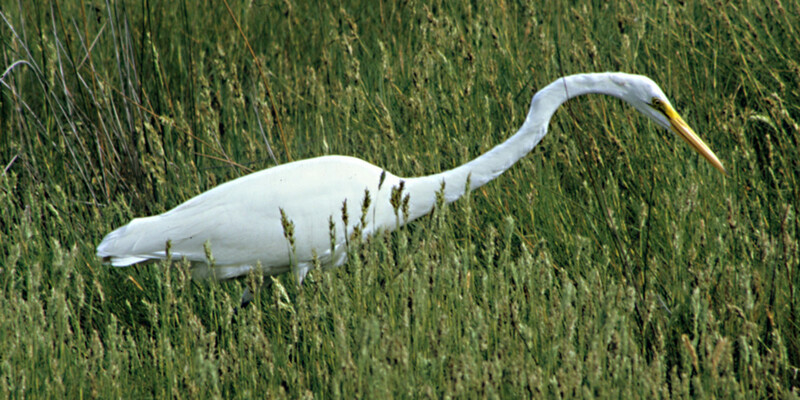 Quite a large bird - though not as big as the Great Heron - this graceful bird has a yellow bill and long black legs. It is also possibly the easiest of the herons and egrets to get close to and photograph. 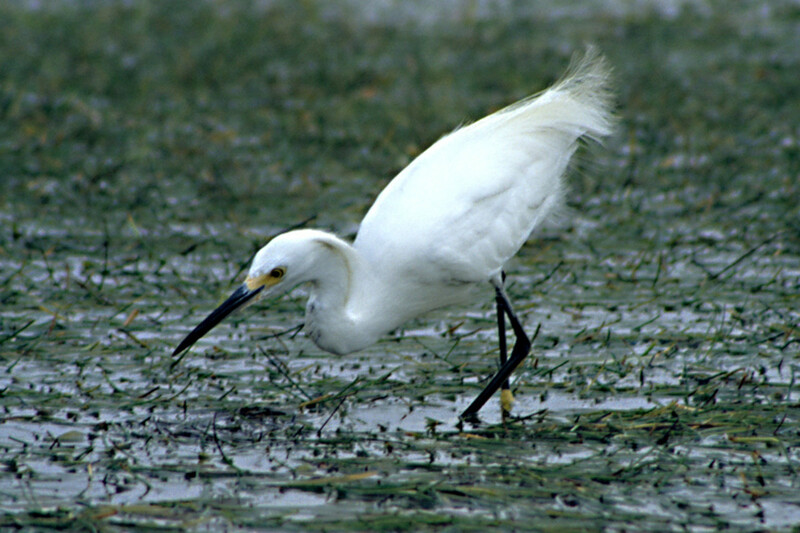 The Snowy Egret is a personal favourite - small, delicate in appearance, with beautiful long feather plumes and a narrow black bill. One species is very different in colour; although there is a white variety, the Reddish Egret - as the name might suggest - typically has a brown-red neck and head and also a dark blueish grey back. It is also an uncommon bird, not yet seen by the author of this article. Too many people take sea gulls for granted. The very term 'sea gull' is too sweeping and broad, because many many different species exist. 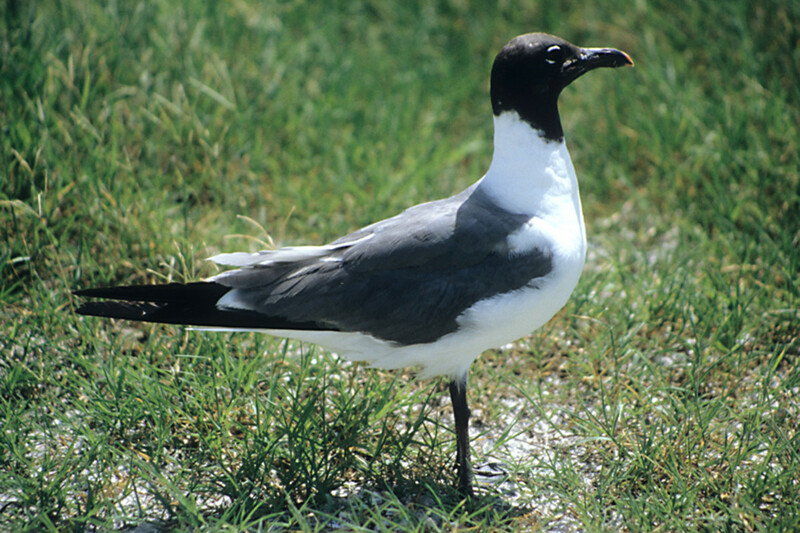 About ten species are regularly seen in Florida, although only one of these is a resident breeding species - the black-headed black-legged Laughing Gull is common throughout the year, both on the coast and inland. Another abundant species, at least in winter-time, is the Ring-Billed Gull - a bird which is identified by the black ring surrounding its yellow bill. 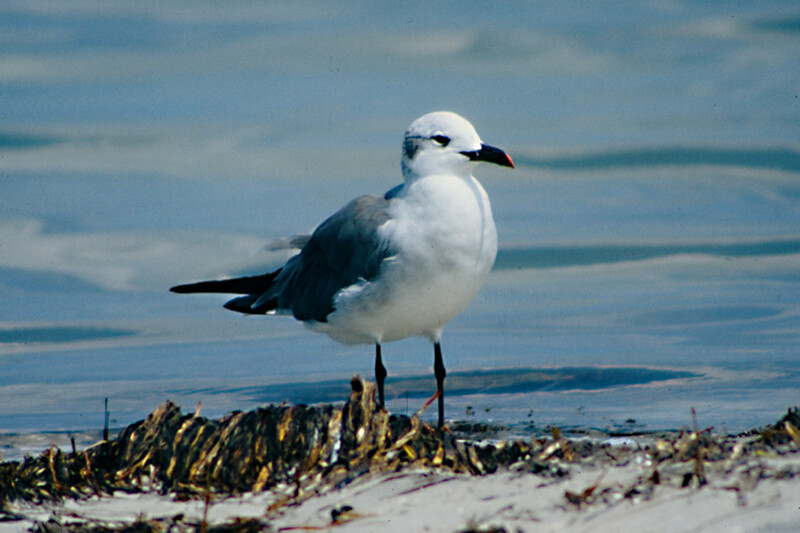 Several other species may be routinely seen by visitors to Florida especially in winter time, including the Herring Gull and Bonaparte's Gull. Terns are seabirds related to gulls, and with an obvious similarity, but usually they are more slender, with long narrow bills, and frequently (but not always) possessing a heavily forked tail. Many species may be seen in Florida, either on the coast or inland, and these include the Royal Tern, the Common Tern, Forster's Tern, the Sandwich Tern, the Roseate Tern, and the very small Least Tern, All of these species are predominantly white or pale grey in plumage, but may be distinguished from each other by such characteristics as body size, wing colour, shape of tail, bill and leg colour, and habitat. One other species is really quite different - as its name suggests, the Black Tern has a much darker plumage (darkest in the breeding season). To cover all these terns in detail is beyond the scope of this web page, so the interested reader is directed to the references at the end of the page. If the number of species of gulls and terns in Florida is too considerable to be covered in detail on this page, then that is certainly also true of the small shoreline waders. 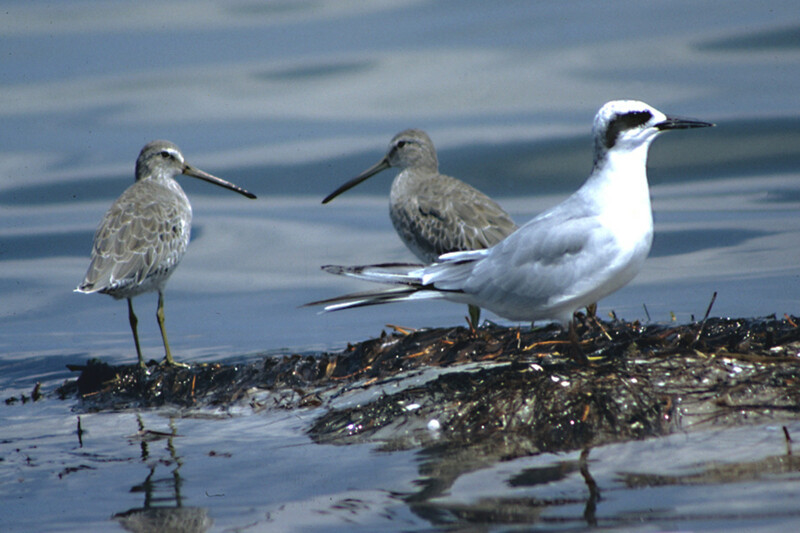 Waders - as the name would suggest - are those species of shorebirds which habitually wade in very shallow water. 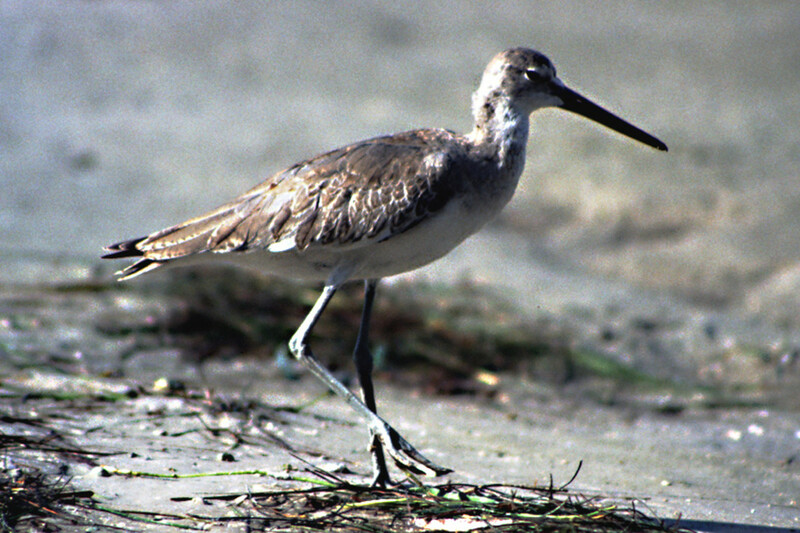 The long Florida coastline is a particularly rich environment for such birds to inhabit and the species of plovers, godwits, sandpipers, phalaropes, stilts and turnstones which can be seen here numbers several dozen. Unfortunately, many of these species are very similar in appearance, and many are small and difficult to photograph. Readers are advised to obtain a field guide, or visit various websites devoted to these species, to note the characteristics and visual differences between the various kinds. It has always been my opinion that whatever one's interests in going on vacation, the more one sees and the more that one discovers about the vacation destination, the richer the experience and the more satisfying the memories will be. 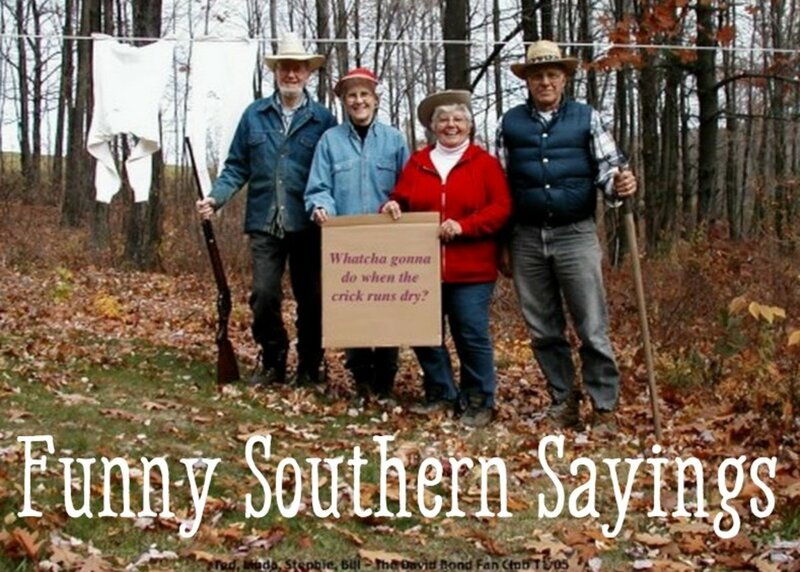 This is certainly true of Florida. The typical pleasure reason for travelling to Florida is to enjoy the theme parks, and maybe the beaches and the golf courses. But many of those who come to this state will also have a love of nature, and a little time spent seeking out the nature of Florida will certainly enrich the experience and the memories of the state. Foremost among the natural sights perhaps, are the water birds which call this subtropical paradise 'home'. I hope that in this page, I have presented a case for any visitor to Florida to seek out the pelicans and cormorants, the herons and storks, the waders and all the other birds to be found along the coast and in the state's wetlands, because anyone who does will surely agree that these water birds are a natural attraction of Florida which should not be missed. 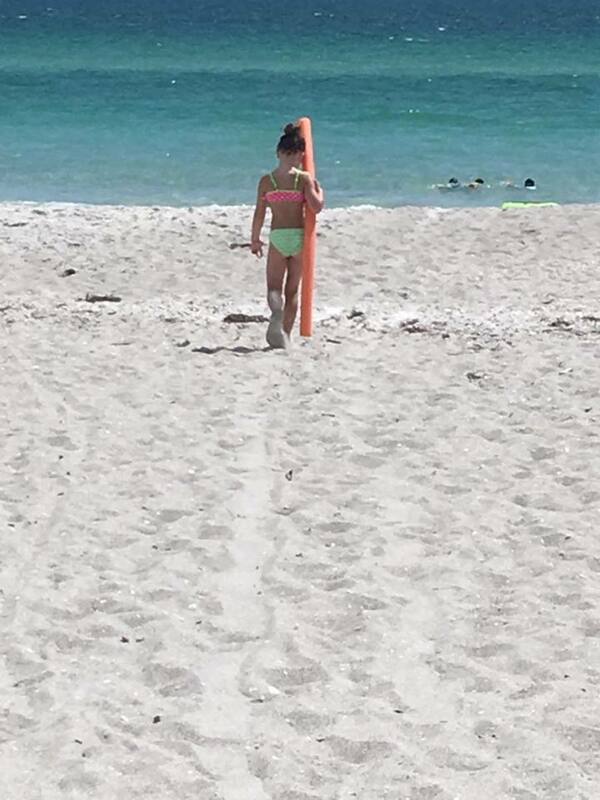 Visit Longboat Key, the Best Beach in the U.S. Thanks Nettlemere - appreciated. It can't be a pleasant sight if you're a fish looking up at those eyes and that beak! Alun. Interesting introduction to the birds of Florida and your photos really do them justice especially the stabby beaks and piercing eyes of the herons and egrets. Sunshine625, my thanks for visiting and commenting on this hub. Such a wide variety of birds to see in your state! As a tourist I only ever saw sandhill cranes once, and that was at a distance in a field whilst driving. But they are wonderful birds, so I envy you! As a Floridian I really appreciated this hub! My favorite bird to see is the Sandhill Crane. They are large birds and travel around our neighborhoods with their family members. Usually a family of four. I wrote a hub in their honor. I enjoyed your photos and details. Well done! As I understand it, wild flamingos are very uncommon in Florida, but may be seen in the Everglades, and particularly in the Florida Keys. According to the Audubon Society their range has reduced over the decades, and today this is very much the northern extent from the Caribbean. Most which are seen in the wild further north than this would be escapees from wildlife parks and zoos, so depending on where you saw them, they may be stragglers from the Caribbean or former captives making a bid for freedom. Either way, it's a great sight to see in the wild! Alun. Many thanks RTalloni for your kind comment. Lucky if you can call Florida 'home'! As far as flamingos are concerned, I was never lucky enough to see these rare visitors in Florida, nor indeed that other pink Floridian, the roseate spoonbill, except in captivity. (Hence the lack of photos!) But even without flamingos, there's clearly plenty of birds to see, and plenty of reasons to visit Florida quite apart from the famous theme parks. Alun. Ahhh--home! Your photos are beautiful. Your egrets remind me of seeing various coral-colored flamingos mingling with the stark white egrets. An amazing sight! So glad you enjoyed your vacation and also that you are sharing photos! No other tern seems to quite match the appearance of this tern, but with breeding, non-breeding and juvenile plumages varying so much, it's not easy to be sure. What do you think? Thanks very much though, for the cormorant correction. All lovely Floridian birds. I think you're cormorant is Double-Crested, not Double Breasted. Most of the terns are larger than gulls and the Forster's has a red bill. Overall, a wonderful hub with great information. Voted up. Thanks chef-de-jour, for your visit and nice comments. I really like the appearance of the Night Heron, and have only seen three or four in my visits to Florida, so I was especially pleased to get the photo of the heron in the tree. I believe they do mostly call at night, as during the day they tend to rest up rather more. The typical call is a monosyllabic squawk. What great images, and some useful information too. The Anhinga is a beautiful bird, the Night Heron so evocative (does it call at night?) and the Lampkin has a formidable beak!